The largest manufacturer of biodiesel and fuels from agricultural biomass in Bulgaria. Rapid Oil Industry Co., Ltd. is a competitive high-tech, innovative company which was founded in 2006 for the production of ecologically clean energy products based on a newly developed integrated waste-free processing technology protected by patent. The basic activity of Rapid Oil Industry Co., Ltd. is performed in the field of production, realization, R&D and management of energy obtained from agricultural biomass and biofuels of first and second generation, on one hand, and products from the agricultural sector, on the other. The company is a co-founder and participates in the administration of the National Association of Biofuels in Bulgaria (NABB). 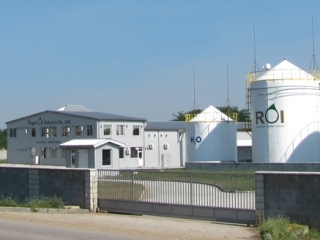 Rapid Oil Industry Co., Ltd is the sole representative of Bulgarian business in the European organization of biodiesel producers – European Biodiesel Board (EBB), Brussels, Belgium. Complex license (№312-НО/2008), which determines the level of impact of the production activity on the environment issued in accordance with the Environment Protection Act by the MOEW (Ministry of Environment and Water), Republic of Bulgaria. Excise warehouse management license (№446/01.07.2010), issued by the NCA (National Customs Agency) in accordance with the Excises and Tax Warehouses Act and Regulation No. 3 in the Republic of Bulgaria. Registration (№01-2119485821-32-0036) according to regulation REACH EC 1907/2006. Realized production patent for biofuels (№110465A/14.09.2009). Scientific laboratory which is accredited in accordance with standard EN ISO 17025 (№239LI/02.08.2011) performing total input control of raw materials, intermediate control of the production process and ready production control in accordance with EN ISO 14214. Research and Development section for the integration of newly developed and innovative conceptual solutions. Team of highly-qualified managers, engineers, technicians and scientists. Experimental production field allowing the real-time testing of technological processes, innovations and new developments. Repair base, which provides the 24-hour maintenance of the entire technological process. Completely automated technological and production processes with the possibility to perform total 24-hour on-line control. Installation with a capacity of 60 000 mt/y for the preliminary processing and constant refining of vegetable oils. Installation with a capacity of 60 000 mt/y for the production of biodiesel by a company-developed technology in a closed constant cycle and with quality indicators corresponding to the requirements of standard EN ISO 14214. Storage facility for 10 000 mt of vegetable oils. Storage facility for 1 200 mt of biodiesel. Storage facility for 1 600 mt of glycerol. Storage facility for 300 mt of methyl alcohol. Storage facilities with a surface of 1 000 m² for other consumables and materials. Owned automotive fleet of light and cargo vehicles. The basic production facility of the company is constructed on an area of 30 000 м² in the region of Kozarevetz (district Lyaskovetz) in immediate proximity to road and railroad transport corridors 20 km east of the town of Veliko Tarnovo.